BMW M5 Boot Space, Size, Seats | What Car? 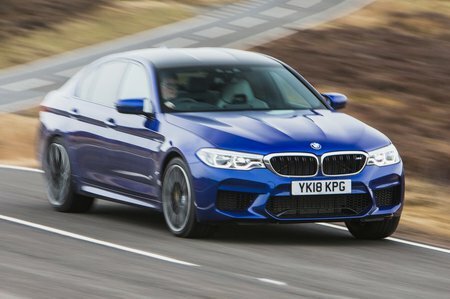 The M5 may be capable of out-accelerating supercars, but that doesn’t mean BMW has compromised on practicality. Here, the only real difference from a standard 5 Series is the wider front sports seats. These give the driver and passenger more lateral support yet still offer ample head and leg room for six-footers. 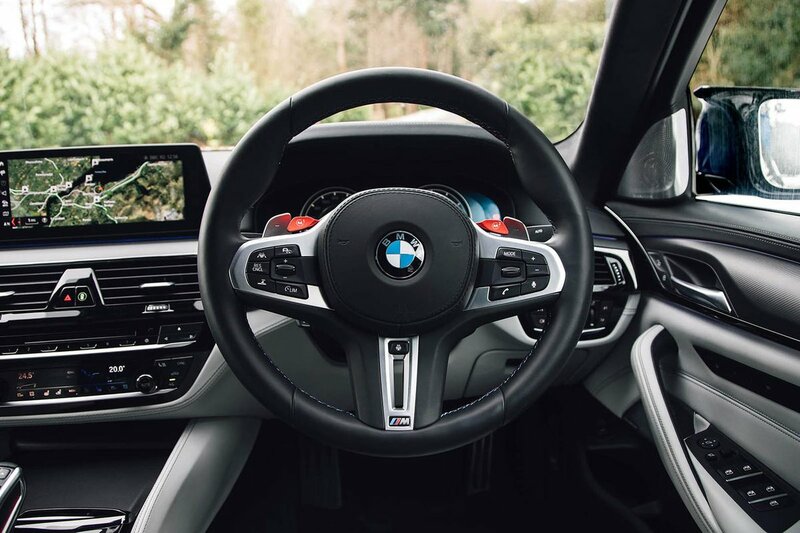 There’s enough space for two tall adults in the rear, too, but carrying a third isn’t a comfortable experience on long journeys; shoulder room is tight and whoever's sitting in the middle has to straddle a raised central tunnel. There’s actually more leg room in the rival Mercedes-AMG E63, although the margins are small and, by a whisker, the standard 5 Series beats both for head room. As for the boot, there’s enough space for a couple of large suitcases and some smaller bags. However, rather than being a simple, square shape, the load bay is full of various contours that can be restrictive when trying to load large, bulky objects. The E63’s boot is that bit larger, too.